I’ve replaced the bible I got for my Bar Mitzva with this better bible. I would like to thank Travis Goodspeed for giving me this opportunity. 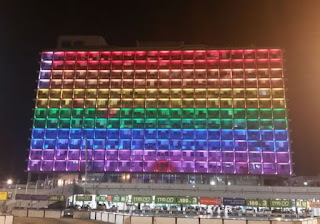 This is the Tel Aviv municipal building and it has a huge 12x20 light show on it. Every time I passed by it, I had this idea that it would be cool to play huge Tetris on it. 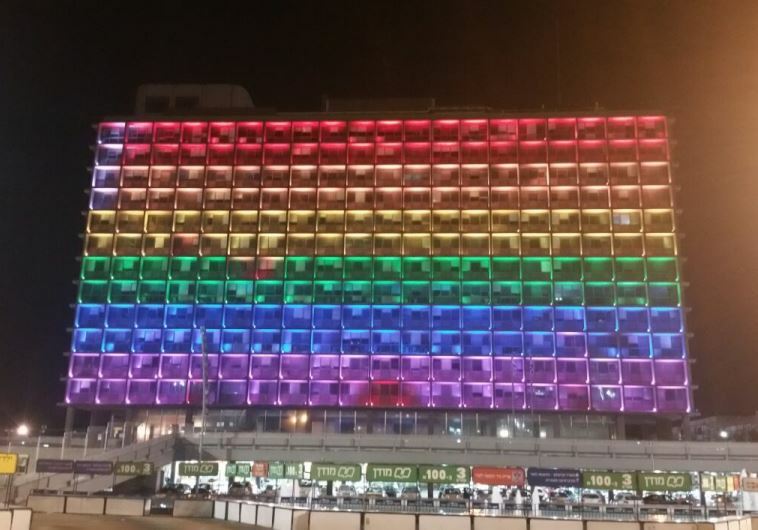 So I looked up on Tel-Aviv city web-site and found the contact of whoever is in charge of city’s events and celebrations. 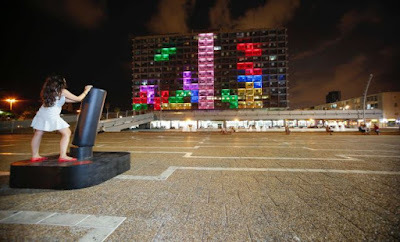 I wrote her a very professional email saying I’m working in the IT industry for a long time and I’m expert on embedded systems and that me and my friends who are also very good engineers, had this idea for a project of playing Tetris on their huge light display. Her response was quick and very enthusiastic (something like: “Wow, sounds awwwwwesome!!!1”). After a few more email exchanges I got the contact of the IT guy who was responsible for the system. 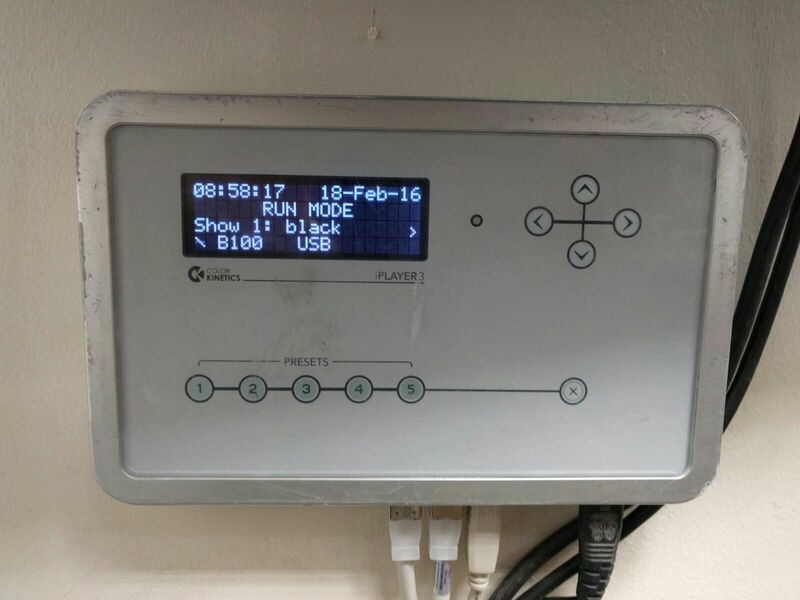 The system was made by Philips, in kind of a huge array of Philips Hue mash. It had a nice controller called “Color Kinetics” that was connected to a PC running “Color Play 2.1” on Windows XP. I could work only during evening / night hours, as me and my friends have a day job. Even though, I see no risk to the system, the lights or anything else, I have no insurance, so they will have to be responsible for it if something goes horribly wrong. I won’t create an App for it, just a controller connected by WiFi. 20x12 might not be enough for Tetris, so I might want to make a Snake game or Pong or all of the above. At this point I told them I’m doing it for free, so I’m going to give them only a POC level product. I am willing to give all of my code, documents and research. Once we will have a working version they can either take everything to someone else to make a product out of it for less money, or I’ll give them another proposal (this time not for free) to finish everything. The responses became slower and slower until at some point they totally stopped. 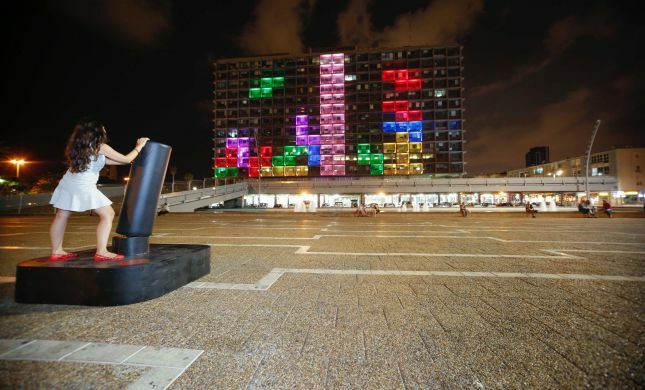 I though they probably decided not to proceed with the idea, and forgot about it..
Few months later I got a phone call from a friend who told me he saw my Tetris project and that he even got to play a game. I was shocked. I’m not sure who gave them a better offer than a free one, or which part created the problem of actually using my proposal, but anyhow, I was quite upset that they used my idea and someone else’s implementation. I would love to hear your thoughts and feedback about why do you think I didn’t get the job, and how should I’ve acted differently. Do you think that If I’ve asked for money and had an insurance I had better chances of getting the job? Do you think the company who was hired for the project had some connections and that’s why they got it? Do you think I might have improperly presented myself and seemed unprofessional for the job? I have a small obsession about human memory. I’ve watched many YouTube videos about savants with profound memory and the things they can do. Videos such as “The Boy With The Incredible Brain” and “The Real Rain Man”. These people who can remember anything with perfect accuracy are fascinating. My obsession pushed me to learn about memory techniques. I found out that even though, my memory is nothing to be proud of, using a few tricks I was able to memorize the order of a deck of 52 play cards! At my peak I was able to memorize two full decks in less than 15 minutes. I believe, that almost anyone who practices that can achieve the same results in a short period of time. Daniel Tammet, also claims that everyone has synesthesia of some level, and that it’s also an acquired ability to some level. On my very little free time, I’ve started working on an Android app for helping “stimulating” synesthesia. The idea is simply a big size Simon game. Simon is a kind of a memory game. In that game a player is given a series of tones and lights and requires to repeat the series. Usually this game has four colors. My version of the game has ten colors, each one corresponds to a number from Zero to Nine. In my game the series of tones is not random, and it corresponds to string of numbers the user wish to memorize. Currently I use 50 digits of Pi, but I will add an option to enter arbitrary number, or choose phone number from the contact list. If anyone has more interesting links about these kind of memory techniques, or any unbelievable savant stories, please share it down in the comments.